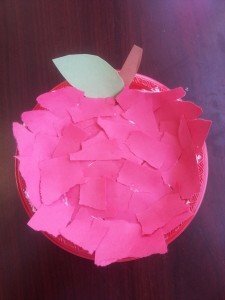 This cute apple craft is fun and easy for children of all ages. It’s a great craft to celebrate fall harvest, back to school, teachers and more. It makes a great classroom decoration. 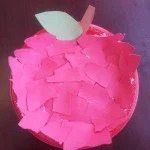 Follow the directions below to make your own apple craft. 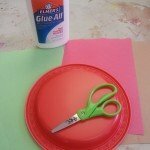 Step 1: Give each child 1 piece of red, green and brown construction paper, plate and glue. Let each child cut out a steam with brown paper and a leaf with green. If the children are younger I recommend making tracers. 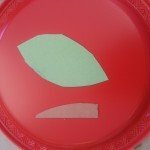 Glue the leaf and steam to the top of the paper/plastic plate (plate should be right side up). Step 2: Give each child a piece of red construction paper and have them rip in into small pieces. Let each child glue the pieces to the paper/plastic plate. Optional: Add some red glitter to the plate to add a little sparkle. Have the children write their names on the apple.